This is a book like any other book. But I would be happy if it were only read by people whose souls are already formed. Those who know that the approach, of whatever it may be, happens gradually and painstakingly—even passing through the opposite of what it approaches. They who, only they, will slowly come to understand that this book takes nothing from no one. She does not want your existential “blood” on her hands, dear reader. You have to be willing to surrender it freely, to engage with G. H.’s passion on your own terms, experience her horror and joy as she struggles to make sense of, and give voice to, the “truth” that she has just come to understand. And, if you do, you may well find that the journey is unforgettable. It is clear from the stuttering opening sentence of The Passion According to G.H. that the narrator, a woman known only by the initials embossed on her suitcases, is uncertain, fragile, and disoriented. It is only by recounting the events of the previous day, by shaping them and giving them form, that she can make sense of the radical transformation she seems to have experienced. This is not a conventional narrative. 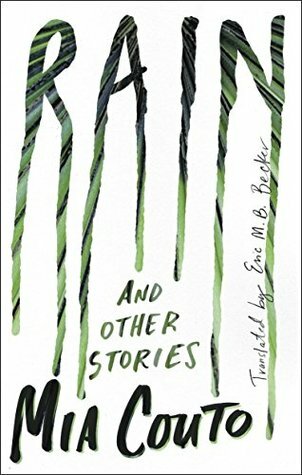 In her retelling, addressed to the invisible owner of a disembodied hand that she imagines she is holding—the “you” who is at once the reader and, as the monologue progresses, a stand-in for an intimate from her past—she pieces together a superficially simple encounter that unleashes in her a torrent of thoughts, images, and emotions. She spirals into a very vivid personal hell, suffers a crisis of vast existential and spiritual dimensions, and emerges a decidedly changed being. But what of it? As the novel opens G. H. has no clear idea, she must start with who she was to discover who—or what—she has become. My question, if there was one, was not: “Who am I,” but “Who is around me.” My cycle was complete: what I lived in the present was already getting ready so I could later understand myself. An eye watched over my life. This eye was what I would probably now call truth, now mortality, now human law, now God, now me. I lived mostly inside a mirror. Two minutes after my birth I had already lost my origins. G. H.’s rapid descent to the brink of madness, begins when she enters the maid’s room and discovers a stark, nearly barren chamber. Most unsettling is the sight of three charcoal figures etched onto the whitewashed wall: a man, a woman and a dog. But the unexpected calm and order of the entire room catches our narrator completely off guard. The bed has been stripped, the curtains are gone from the window, three monogrammed suitcases are stacked along one wall and the narrow wardrobe, stands cracked and bleached by the harsh sunlight. She describes the room as “the portrait of an empty stomach.” And as she ventures into the room, she feels as if she has entered a nothingness, a formless space that cannot contain her. To gain some control she decides to wash down the wardrobe, and that is when her nightmare begins. Cracking open the wardrobe, she confronts a cockroach, emerging through the door. The sight of the roach ignites a primal reaction, tied to memories of childhood poverty, but ultimately bound to a much deeper fear for G. H.—the cockroach is a prehistoric creature, durable and enduring, holding in its being the horror of unformed eternal existence. However, it is her response to the situation, her decision to kill the roach, that triggers what will escalate into an all-consuming metaphysical crisis. Because during those seconds, eyes shut, I was becoming aware of myself as one becomes aware of a taste: all of me tasted of steel and verdigris. I was all acid like metal on the tongue, like a crushed green plant, my whole taste rose to my mouth. What had I done to myself? With my heart thumping, my temples pulsing, this is what I had done to myself: I had killed. I had killed! But why such delight, and besides that a vital acceptance of that delight? For how long, then, had I been about to kill? During the hours that follow, G. H. will wrestle with questions of heaven, hell, morality, humanity and, most critically, the troubling reactions that these metaphysical problems provoke in her. She fears her own ambivalence, and discovers that the promise of hell is not a torture of pain but a torture of joy. In what she will insist are not hallucinations but “visual meditations”, her awareness of being is stretched and exploded, extending back beyond the Cradle of Civilization across deserts and oceans to reach beyond the time of the dinosaurs. To encompass the humble origins of the primeval roach. 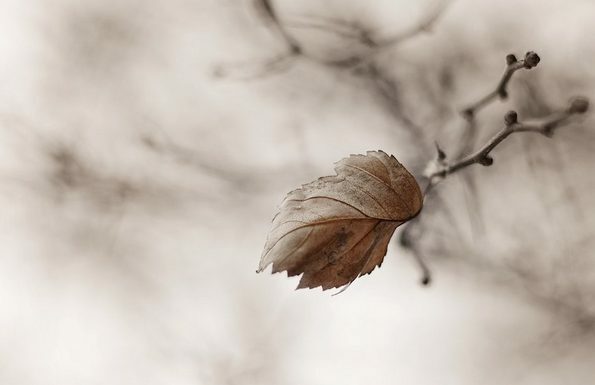 Gradually, slowly, she will begin to fashion a reformed, redefined spiritual sense of self, to approach her own salvation, to embrace life in all of its uncertain terms. From its opening passages, The Passion According to G. H. is propelled forward with a relentless intensity that builds as the narrative proceeds. The final sentence or phrase of each chapter is carried forward to open the next, as if with each chapter the narrator is reorienting herself, gathering her resources to move on with her story. The revelations advance in fits and starts, more noticeably as her questioning becomes increasingly obsessed with the nature of being. There seem to be things she can only come to terms with piece by piece, as she attempts to reconstruct and express an understanding of a world in which she can exist. In the end, she must come to an acceptance that being is a process, an act of trust in the unknowable, a continual active re-engagement. Her creator, Clarice Lispector, knows intimately that language—words—are essential to articulating, not just the emotional journey G. H. endures, they are essential to articulating the truths of human existence, once being has been stripped to its most fundamental elements. 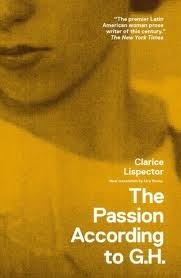 Although I have read many of her short stories, this was my first encounter with one of Lispector’s novels. I had wanted to read this particular title for years, but had not realized how closely her theme ties into the existential questions that drive my own most personal writing project. 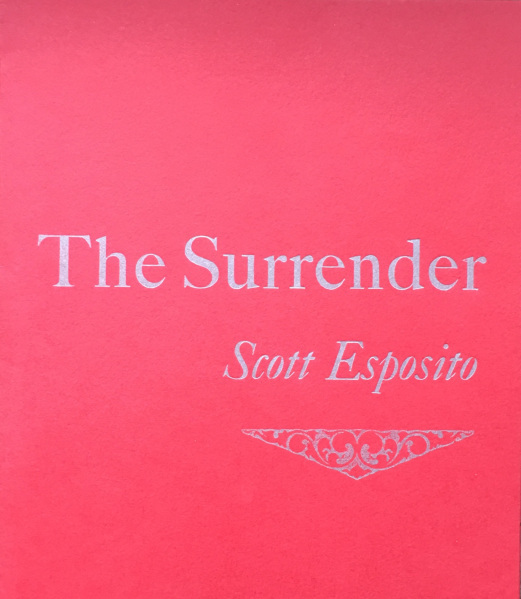 And in a timely instance of serendipity, my finishing this work dovetailed nicely with joining the editorial team of The Scofield in time to copyedit and proofread 70 pages of the upcoming Lispector issue which will be out very soon. 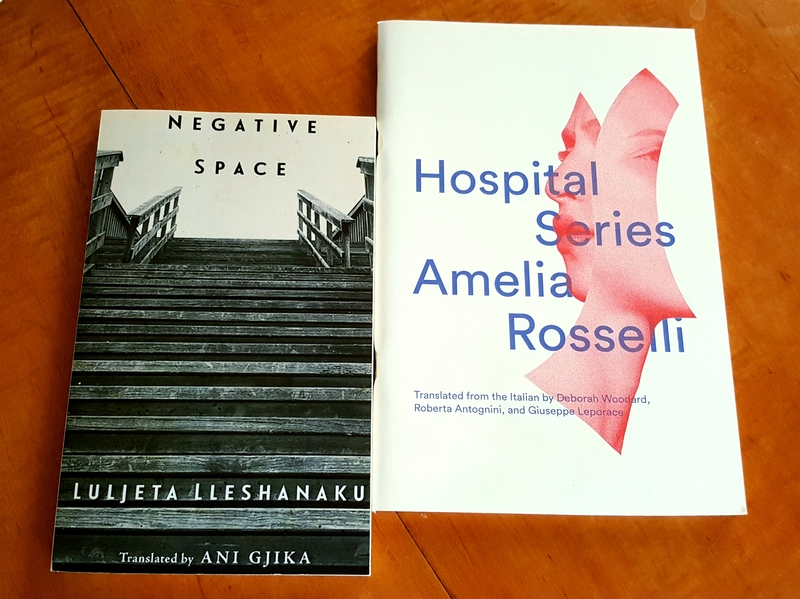 The opportunity for some very focused, close reading of some wonderful Lispector inspired writing, including a number of detailed critical essays, has left me eager to read the rest of her work. I can fully understand why she was (and is) so beloved in Brazil, and such a powerfully influential writer. The Passion According to G.H. was originally published in 1964. 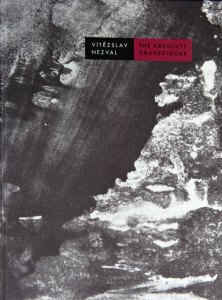 This evocative translation from the Portuguese by Idra Novey (2012) is published by New Directions. Update: The Scofield Issue 2.1 Clarice Lispector and the Act of Writing is now available and can be downloaded for free as a PDF. You’ll find it here. 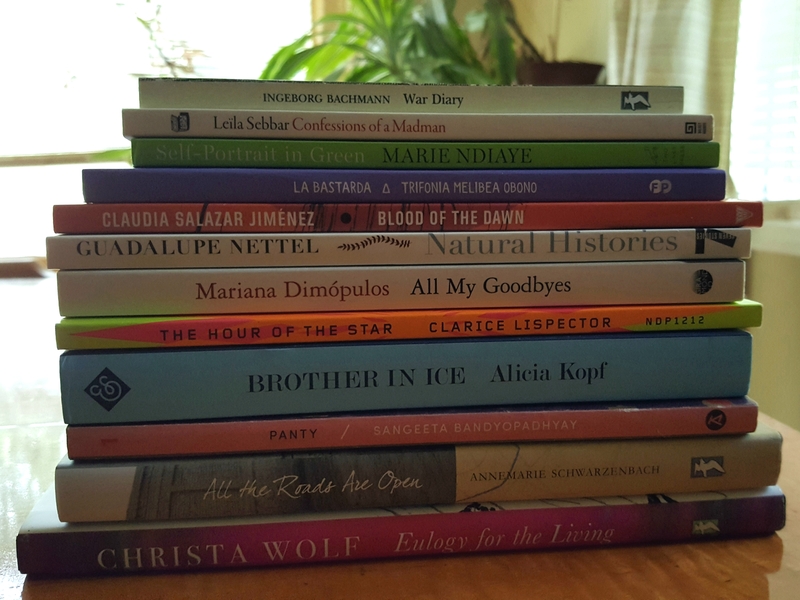 You will find a wealth of Lispector related and inspired reading, including two short stories and much, much more! We obsess over lasts as we do over firsts. Last days, last images, last words. We want signs. Last month, my brothers and I made a most difficult decision about our father who was, at the time facing a cluster of serious complications resulting from a stroke and car accident. Four days earlier we had gathered around our mother’s bedside as the respirator that was barely keeping her breathing was removed. Within four hours she was gone. After agreeing to discontinue treatment of our father, he would continue to live, slowly dying, for another week. 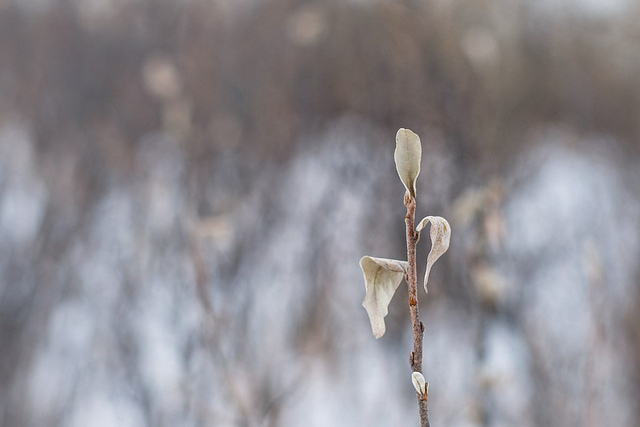 As I kept vigil day after day I tried to remind myself that there was a time when death was allowed to take its course, in the home, even as so-called “normal” life would begin to spin, a troubled satellite, around the dying person. Death was part of life, not something that happened elsewhere, surrounded by tubes and machinery. Although my dad remained in the hospital until the end, he was moved to a quiet, private room where he was kept comfortable, free of pain, and cared for by the nursing staff. As a family we were supported and respected. It wasn’t easy, and we’re all still numbed and distorted in our grieving, but if there is such a thing as a good death, I think that both of my parents had good deaths, if good means having a chance to say I love you, over and over and over until the end. When I first started to read Susana Moreira Marques’ Now and at the Hour of Our Death, I wondered if I was too raw, too plagued with second thoughts about the decisions we had made, to be able to surrender to a lyrical and experimental essay about death and dying. This book had been sitting on my shelves since it arrived last year with my And Other Stories subscription, several times I had opened it but somehow the time was not right. I suppose the book was waiting for me. Over the course of five months in 2011, Marques made several visits to a palliative care project in rural north-east Portugal. She accompanied a team of health care professionals as they traveled from village to village to assist those on their final journeys, allowing them to be able die, as comfortably as possible, in their own homes; and along the way she recorded her own observations, collected anecdotes, and listened to the stories of the people she met. The result is powerful meditation dying, as a lived experience shared by a family, a community. The swallows have already built their nests above the back door; this is how they do it every year. They are useful birds, and beautiful, and have always been a favourite of his. But now he watches them as he never has before, because he might not see another spring. AGONY: 1. The last struggle against death. 2. [Figurative] Anguish, affliction. 3. An imminent conclusion (preceded by a great disturbance). ‘Agony,’ the dictionary does not note, is a technical term. Immortal in the morning. At night, the fear of never waking. Lands, roads, people, time, time, people, roads, land. What matters here is different, very different. 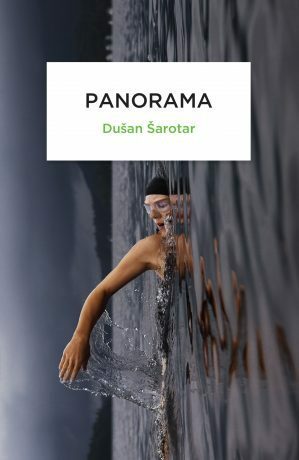 The second half of the book, entitled “Portraits”, offers a closer look at three individual stories. Here Marques becomes a gentle presence as she describes each situation, then she steps back and lets those involved have their say. There is Paula, a woman with a young family, who is dying of cancer. She speaks with a brave spirit about how she and her husband had taken their time, waiting to have their second child, assuming they had “all the time in the world.” She will only have another year to live at the time that her thoughts are recorded. Then we meet João and Maria, a couple in their 80s who reminisce about their years in Angola. Both are ill, yet neither feels that they are ready to die, they live for visits from their children and grandchildren, and each one fears being the one left behind.
. . . I couldn’t react. It must have been two months before I cried. It’s really hard for me to cry. And now I’ve finally started crying, but only because I’ll get all worked up over something minor, and then I might cry a little out of frustration. But when it happened – and the atmosphere at our house was just so strange . . . It took me a long time to realize what was going on. The final section, a single page long, is a guide for “When you come back from the journey no healthy person wants to take,” a list of the ways “you”, that is anyone who survives the death of a loved one, can be expected to act. . . paying attention to time, the things and people that are precious, the bridges that need to be mended and, simply, endeavouring to live well. I hope I can follow this wisdom even if, at the moment, I am inclined to relate to Elisa’s reaction, with grief coming in angry outbursts more than tears. 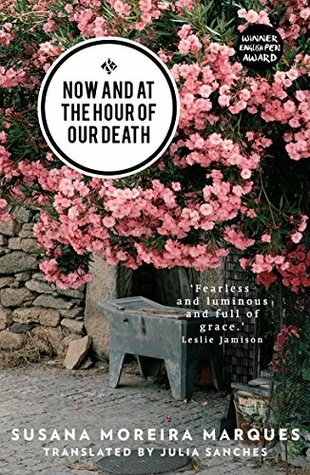 Now and at the Hour of Our Death is translated from the Portuguese by Julia Sanches and published by And Other Stories. When it comes to the depiction of transgender individuals in literary fiction, I will confess that I am a rather cynical customer. Lets just say I know the reality too well. So much of what I have read does not even come close to scratching the surface of what it means to be at odds with one’s own birth-assigned gender. Intentions are good and, of course, the transgender or intersex character always allows for an interesting twist but the results can be misleading, even distressingly off base. That’s why Sergio Y. by Brazilian author Alexandre Vidal Porto is such a refreshing and original read. Here is a novel that treats the subject with intelligence and compassion—quite the feat for a book in which the transgender character meets an untimely and unfortunate end before the story even gets started. The title character, Sergio Y. is the son of a wealthy businessman in São Paolo, Brazil, and the great grandson of an Armenian immigrant who escaped the tragic fate of so many of his countrymen, including the rest of his family, when he crossed the ocean in 1915, seeking his happiness in the Americas. The narrator is Armando, a well-respected seventy year-old psychiatrist. Sergio had been referred to him for therapy at the age of seventeen, described simply as “articulate, intelligent and confused.” They meet regularly for several years. This mature young man—so handsome, wealthy and talented—intrigues Armando and yet, in spite of all of these advantages, he professes to be possessed by a deep and abiding unhappiness. Following a visit to New York City one Christmas, Sergio informs Armando that he wishes to discontinue therapy. He has had a revelation, he says, and he believes he has found a way to be happy. 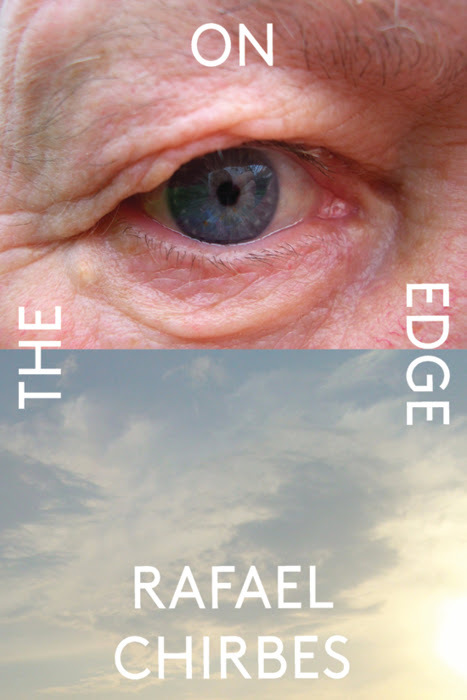 Our narrator is a little disgruntled to be dismissed as such but, as the years pass, Sergio Y. fades from his mind until a chance encounter with his former patient’s mother. She reports that her son has moved to New York where he attended culinary school and is now about to open his own restaurant. Armando is surprised, but pleased by this news and the praise he is afforded for his role in helping Sergio find happiness at last. However, this boost to his ego is short lived. Armando’s world begins to crumble when he learns, quite by chance, that Sergio Y. has been murdered at his home in the West Village. Obsessive by nature, Armando becomes haunted by the need to know more. What he discovers with the help of a private investigator is completely unexpected and sends him reeling. The murder victim is identified as Sandra Yacoubian, female. Sandra and Sergio he soon learns are, in fact, one and the same person. His young patient had found his happiness as a woman and now she was dead at the age of 23! How could he have failed to recognize that Sergio was transsexual? And, even more serious, was his failure in some way responsible for this tragic outcome? The main source of my frustration was not having detected any hint of Sergio Y.’s transsexuality. I felt I had been duped solely and exclusively by my own incompetence. I had always though that the secret to transsexuality was not all that deep, that it revealed itself in all of the individual’s attitudes, at all times, in all the decisions he or she took, since early childhood. As far as I was concerned, the pain in the patient’s soul and their inner confusion would be so visible that one did not need to be a Freudian or Jungian psychoanalyst to make the diagnosis. Armando’s search for answers and his personal quest for understanding lie at the heart of this book. He begins with a handful of stereotyped assumptions. He labels them, admits to them, and lays them out. In the end, as he comes to a clearer,more nuanced appreciation of the decision his patient chose to take to find happiness and the determination with which she pursued it. 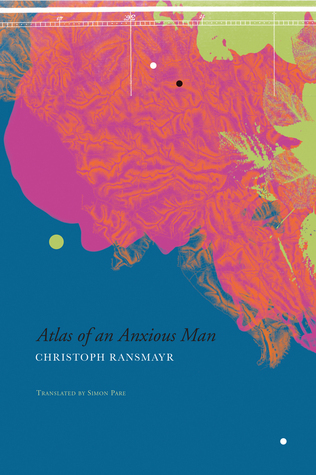 The narrative tone is highly idiosyncratic, dictated by the analytical, mildly obsessive-compulsive, immodest character of Armando. Even when he begins to doubt and second-guess himself as the account progresses, he maintains the matter of fact, dry, clinical delivery of a psychiatric report. The attention to detail—his clothing choices, his tendency to note the approximate height and weight of people he encounters, even his reports of his own emotional ups and downs—all create the illusion of a sterile account. But when the careful veneer cracks from time to time, we see a moody, somewhat petulant character, prone to bursts of pride, mixed with episodes of guilt and shame. He is continually measuring himself against his own successes and failures. His internal machinations are fascinating. Ultimately, Sergio Y. is novel that approaches the transgender experience from the inside and the outside, allowing for the comfort with names and pronouns to vary, over time and from person to person, reflecting the complexities of relationships that others, even loving family members, can have when an accepted and assumed identity is challenged. In his own journey to understand and set his mind at ease, the questions Armando raises and the answers he finds serve to create a moving and compassionate portrait of the transgender person’s conflicted internal experience and the search to find a way to be happy in the world. Happiness may be an ideal; comfort or contentment might work as well. From my point on this same journey I would hasten to add that it can be a difficult and lonely path, but that does not mean it is not worth following. In fact, if it is the right path, there is no other. 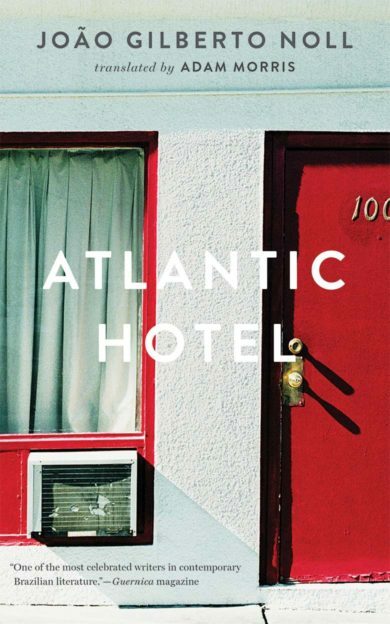 Semantics aside, this novel is an important, engaging read. It deserves to be written about and it needs to be discussed. 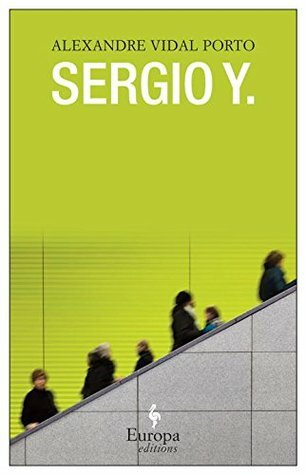 Sergio Y. is translated from the Portuguese by Alex Ladd and published by Europa Editions.